Ultimate Fighting Championship (UFC) put together their first ever South Korean mixed martial arts (MMA) event earlier today (Sat., Nov. 28, 2015) as the Olympic Gymnastics Arena in Seoul played host to UFC Fight Night 79. After a thrilling event, it is now time to honor those combatants who gave a bit extra when they threw down inside the Octagon. Check out full UFC Fight Night 79 results here. UFC doled out its customary post-fight monetary bonuses to four of the 22 fighters on the card. Among those who are going home with deeper pockets are Seo Hee Ham, Cortney Casey, Dominique Steele, and Doo Ho Choi. 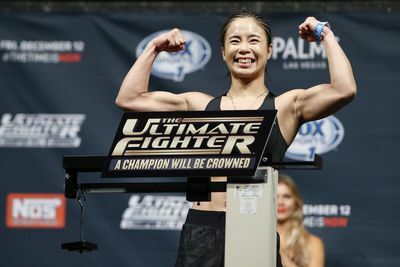 Ham and Casey pulled out the “Fight of the Night” bonus over main eventers Benson Henderson and Jorge Masvidal for their three round 115-pound war on the “Prelims.” In a razor-close and exciting fight, Ham won via unanimous decision in front of her adoring home crowd. With a nickname like “Non-stop action packed,” you just knew Dominique Steele would pick up a UFC post-fight bonus at some point during his Octagon tenure. In his second UFC bout, Steele earned an extra $50k by slamming UFC debutant Dong Hyun Kim into unconsciousness (video).